Lotta comments in the comments about the PM by Nate. Some invites going out, should be done by Wednesday. Lava encounter broken up into three pieces., but you can still get as a whole also. Some kind of extra pieces of doom, perhaps missing parts from DOD? Got my invite. Will probably be doing it tonight. Haven't opened it yet as I'm at work and I know it will be a time sink. Have you tried the magnetic walls without double height walls on either side to support them? In my experience, they're completely useless without support to either side. The slightest bump causes the whole second floor to fall apart. Things that were "redesigned" in KS4 ended up being a TERRIBLE design. 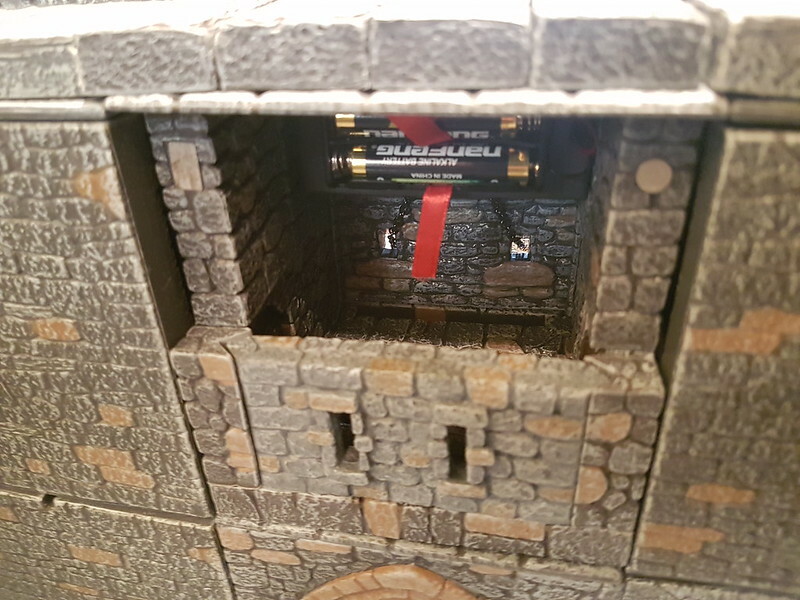 For instance, the drawbridge upgrade and the hideously poorly designed "2nd floor magnetic walls". I hope the same kind of thing doesn't happen here. Not sure I agree with that - DF redesigned it so that you have relatively easy access to the drawbridge winch. Maybe they could have designed it differently but I think it achieves the objective. It can be a little fiddly to get your magnetic pieces polarised, but once done - no real issues. Pictures below were taken after I completed a double height build. I do get why people don't like it, I know there are magnets visible but I have hardly noticed them so I don't think its a terrible design IMHO, but maybe could have been better. I'm 85% unlikely to get any floor-magnetized pieces. But, as ever, I shall wait to see what the final product is, and cost, and make a decision from there. The Canadian dollar has been somewhat stronger lately, so that helps a bit. I hope they are like the KS3 magnetic walls. 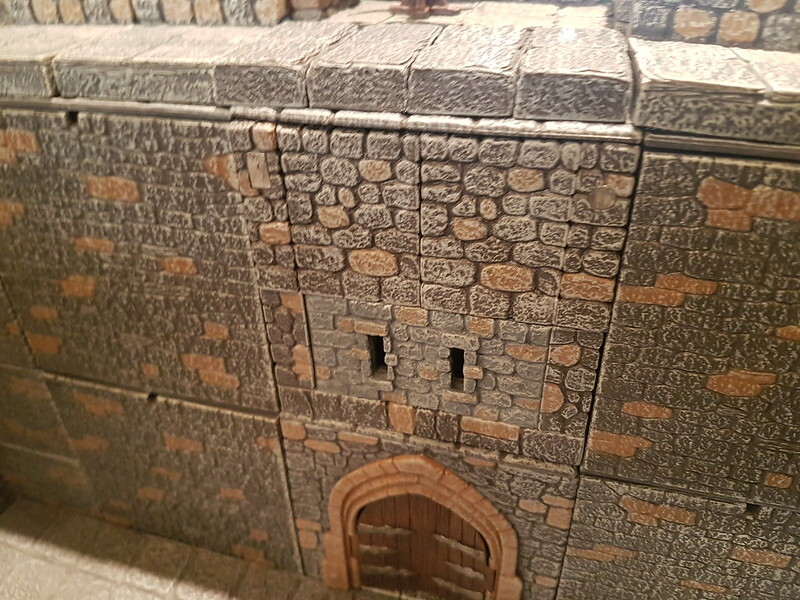 I didn't buy much from the castles KS (if nearly $1,000 can be considered "not much"), but there has been a fair amount of issues regarding fit and magnets. With a return to more traditional tiles, i am not concerned about fit issues, but with KS 5's heavy reliance on magnets, i would like to see some assurances that the "bugs" have been worked out. It is my understanding that the delay in the PM was for a redesign of the magnet system. Hopefully this redesign, its effects and impact will be thoroughly explained. Also i want to KNOW for a fact that the magnets will be internal (specifically on the magnet wall peices... i don't care so much about whether i can see them on the base). I do not want another surprise like the Bridge ramp with the ugly metal plate on it. If we are depicting a product with embedded internal magnets, that is what i would expect to receive. Hopefully these details will all be explained. I am looking forward to the PM, but after agonizing over what to leave in and what to leave out, i fear the change in magnets and pricing may send me into another round of decision paralysis.